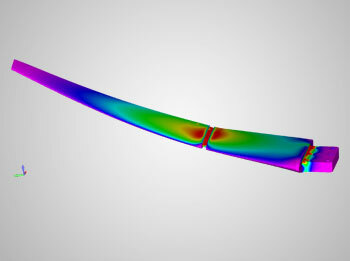 AeroTEC provides advanced design and simulation tools, including computational fluid dynamics and finite element analysis software, aid in our design and analysis process. AeroTEC relies on FEMAP with NX Nastran for our final element method (FEM) analysis to improve structural and component design. FEMAP ties in directly with Unigraphics NX, which also allows for efficient design cycle simulations, helping you get the answers you need quickly. Advanced simulation capabilities allow us to cost-effectively meet certification requirements while simultaneously helping you ensure the best design possible. Contact us to learn how our advanced simulation services help save you money and keep your project on time toward certification.